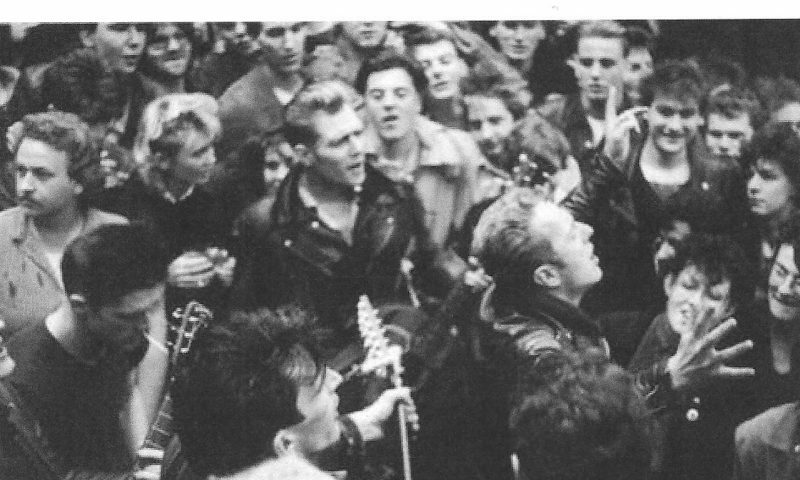 If one wasn’t already familiar with today’s more interesting punk and rock n’ roll acts then they soon will be. 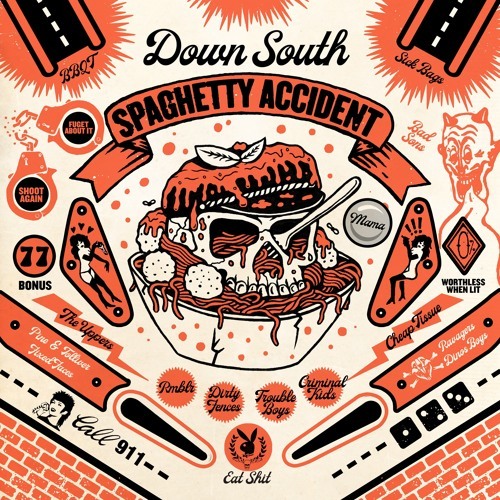 The 14-track Down South Spaghetty Accident compilation proves that rock n’ roll lives and breathes with unabated vibrancy. It includes numerous groups like the Dirty Fences, Mama, Dinos Boys, BBQT, Criminal Kids and many more. From start to finish Down South Spaghetty Accident does not disappoint. It’s a record with no fillers and only gems. That being said, my top tracks on the Down South Spagetty Accident include those recorded by Dirty Fences, BBQT and Criminal Kids. Dirty Fences have never shied away from knocking out a sound that mixes garage with power pop sensibilities. Those not aware of these lads should start with their hit “Judy (Don’t Go)” from Full Tramp. After digesting that, check out their new track “M.O.N.E.Y.” True to form, this is ditty captures Dirty Fences bouncy and harmonious poppy nature. Admittingly though “M.O.N.E.Y” is not as raw as some of their previous material. My favorite track on this comp is BBQT’s “Savage 512.” This track is easily my favorite recording of theirs. 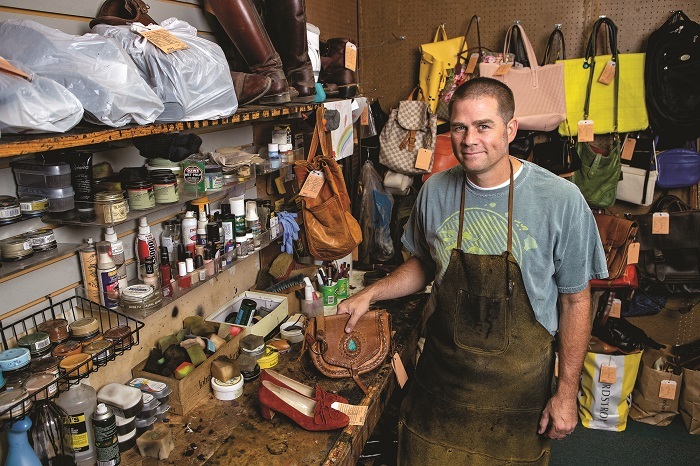 It’s modern glam rock meant for the trash rockers of this decadent decade. BBQT has got all attitude that inspires a nod toward Suzi Quatro infusing with a Runaways grab you by the crotch glam-punk savagery. If “Savage 512.” doesn’t make you flail about with wild abandonment, then all hope may be lost to you. Mama’s “Sugar Burn” also follows in the glam vein. It’s a heavy hitter that reminds me a bit of Bay City Rollers or even Sensations “Black Eyed Woman.” “Sugar Burn” has a vintage style appeal. It’s the kind of track that could have been found on a Glamstains compilation. Luckily for today’s listeners it’s on Down South Spaghetty Accident. Dinos Boys stay true to their sound with “Ready When You Are” with unbridled punk intensity. It’s got snot and an attitude worthy of the Dead Boys or The MC5. To be sure, with this number punk rock remains alive and well. Criminal Kids deliver quite the diamond in the rough with “Run From The Police.” Their cover of “Run From The Police” is worthy of being listened to alongside the original by Gangster. Criminal Kids style have got a defiant punk stance mixed with the hi-voltage intensity of early 1970’s glam. In comparison, Gangster’s original is a bit more bouncy with late 1970’s punk and rock sensibilities. The original will always have a special place in my heart. However, Criminal Kids knock out their version with sheer brilliance. It’s a wonder that such an explosion of sound could be housed in a single LP. This compilation emphases music that ought to germinate the ear and is a must have for any degenerates collection. It’s a record that ought to be played until your record players needle wears thin or until the local authorities pinch you for being a menace to society. So be sure to listen with impunity. Mortigi Tempo produced something delightfully refreshing and different with their new album. It’s called Spread The Disease. 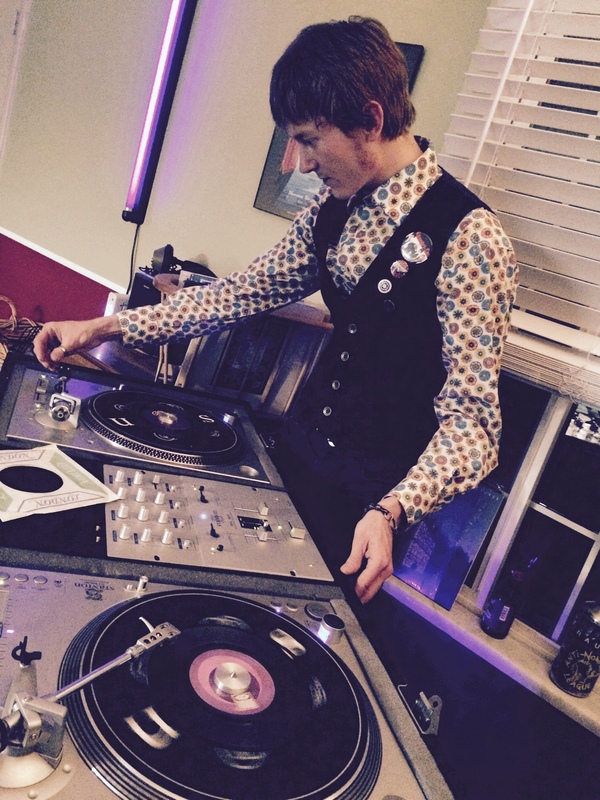 After a pint it’s the kind of music that leaves an infectiously subversive impression. Stylistically, Mortigi Temp seem to touch a kind of indie-rock twirling with elements of industrial influencing post punk that somehow mixes into a gothic feeling ensemble. To be sure, it’s the sort of music that celebrates the ominous while invoking a surrender to move about like an idiot after too manic inducing substances. Spread The Disease firmly grabs a hold of it’s listener and electrifies them to dance. This is evident within only listening to the first few seconds of the first track “Spread The Disease.” This song starts off with an intro featuring a politically charged PSA on the dangers of complacent boredom courtesy of a prerecorded reading of Wallace Shawn’s “My Dinner With Andre.” It’s dark and warms up for a wild post punky ride of a tune with a strong back beat and erry synth. Think of Love and Rockets with a dash of Killing Joke infused with HMLTD. The entirety of Spread The Disease is like a wild ride. 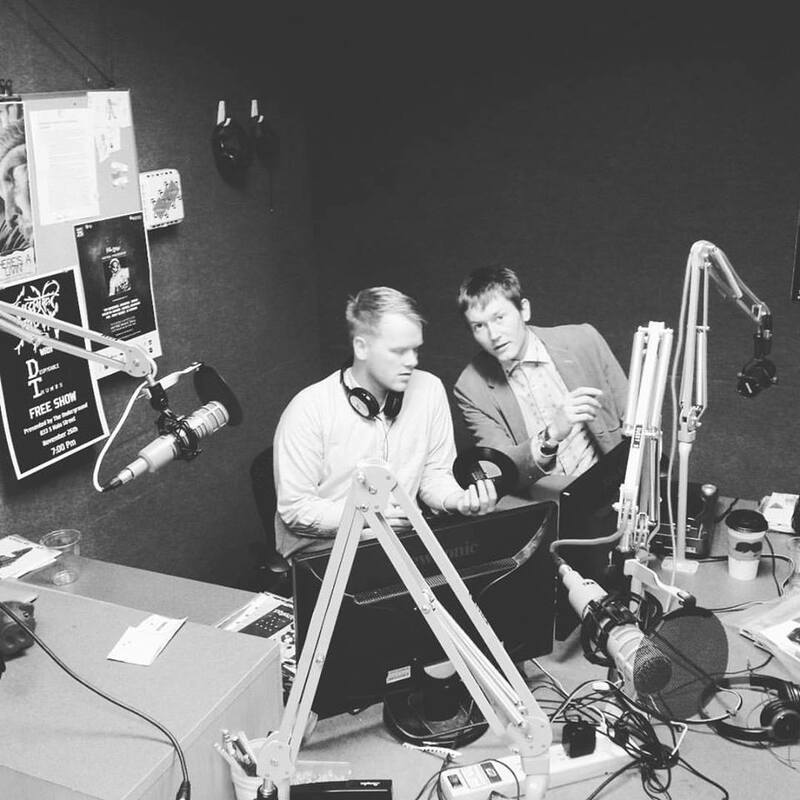 “Chrome Plated Cookies” breaks off the previous tracks path into the realm of something groovy and indie. 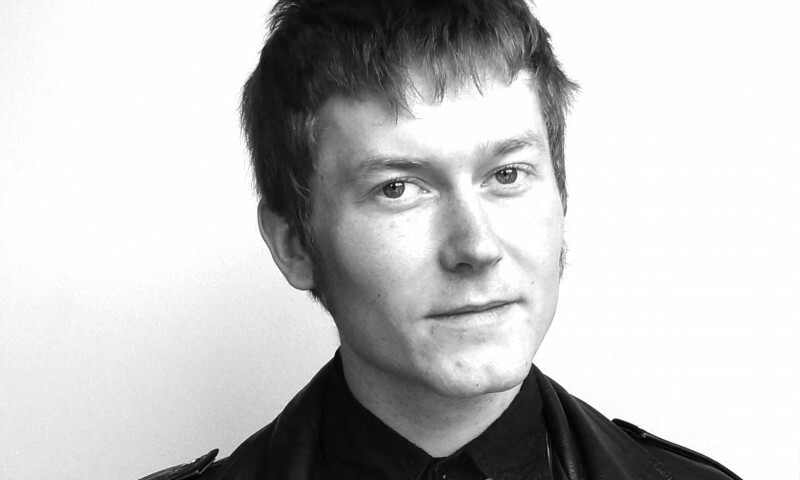 While “Jesse Wants To Steal” breaks into a sound invoking nostalgia for early noughties alternative rock. Further down the track listing each additional tune comes across with a stark difference from that of before. By the end, this albums concluding track “Aftermath” leaves one feeling a bit empty inside—not unlike the commercial driven culture that the first track warns against. 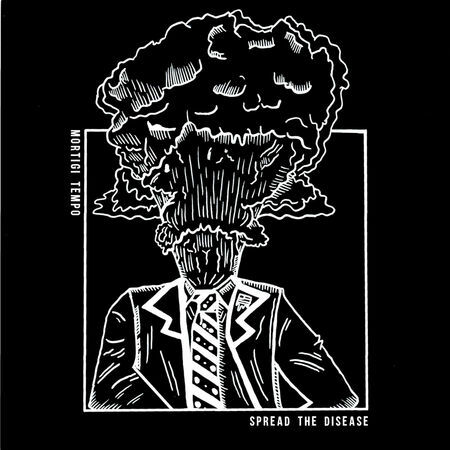 From start to finish Spread The Disease is brilliant. It pulls it’s listener through the depths of being warned against a rampant self-contented culture. It it is done so in a superbly entertaining way and performed with music that begins by begging one to dance and then to gradually succumb to the mind numbing effects of sounds found in droning of Neo-psychedelia. MortigiTempo have a unique talent and they superbly demonstrate it through a diversity in style that truly shows offs the majesty of their skill. As a whole Spread The Disease is well worth the listen and it’ll be interesting to see what MortigiTempo comes out with next. Be sure to watch them closely. All the way from Switzerland, The Revox embody the voracious spirit of sounds meant for the wild and untamed. They celebrate a style mixing the essence of the raucous Black Lips twisted with The Chesterfield Kings, but emphasizing the moody but primitive nature of Los Saicos. Their new record In Mono exemplifies their talent to blast out raw garage punk stompers through hi energy tunes of desperate rock n’ roll with dashes of fuzzed out psychedelia. In Mono is an album that immediately grabs the unwary listener’s attention by the extremities and holds tight. The opening track “Father In Low” boasts a savage sound demanding listeners move around like bewitched dolls. This song brilliantly blends essential elements of snotty punk with a certain maddening defiance. As a far as 1960’s revivalist garage rock goes, this track nails it and cements what is to be found within In Mono. Another top tune is “Gloria Stompers.” This one easily rips from the riffs of the iconic Van Morisons “Gloria.” It’s a song stepped in a moody garage punk with a definitive attitude. While the instrumentals borrow heavily from “Gloria” it’s a tune that pays homage rather than imitation. Another familiar song on In Mono is the cover of The Leave’s “Hey Joe.” Like Gloria Stompers, The Revox makes a clear nod to the legendary time of the 1960’s, and in doing so it does the garage punk legacy justice. The real magic on this album is the tune “Never Ending Trip” It’s got a strong build up to a fuzzed out guitar riffs that give way to the infectious chorus of “I’m freaking out!” “Never Ending Trip” could easily be found in a Back From The Grave compilation, if it wasn’t a modern tune. This track is a personal favorite from In Mono. It’s not only catchy as hell, but this song truly demonstrates The Revox’s natural ability to hold their own in the expanse of garage punk music. To not find oneself singing along to “Never Ending Trip” might warrant a keen head examination. 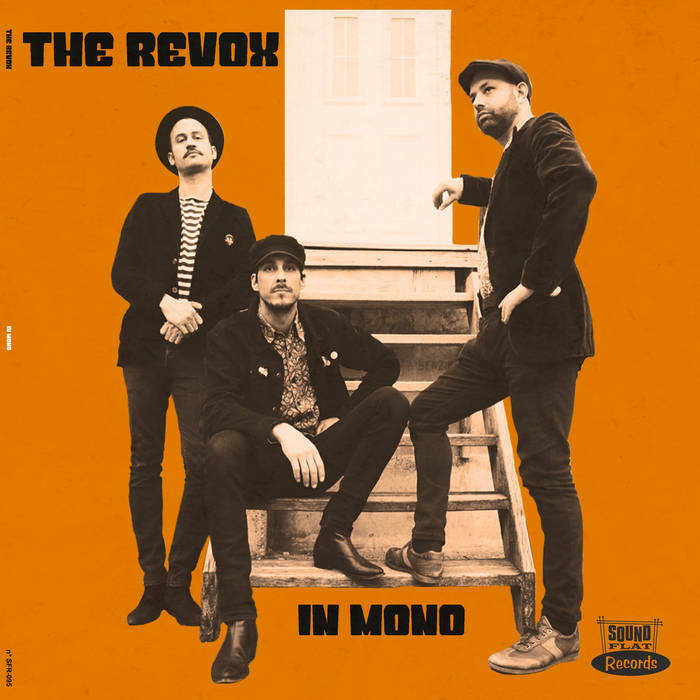 The Revox truly out do themselves with their new record. Compared to their recent single release on Voodoo Rhythm Recordings, In Mono is a little more cleaned up, but that doesn’t hamper their impressive style in the slightest. In Mono is a fantastic album and If one did not consider it as a worthy part of their record collection, that oversight would be a clear indication of a drastic mistake. So beware, get this record and play this one loud enough to upset the neighbors. You’ll be glad you did. 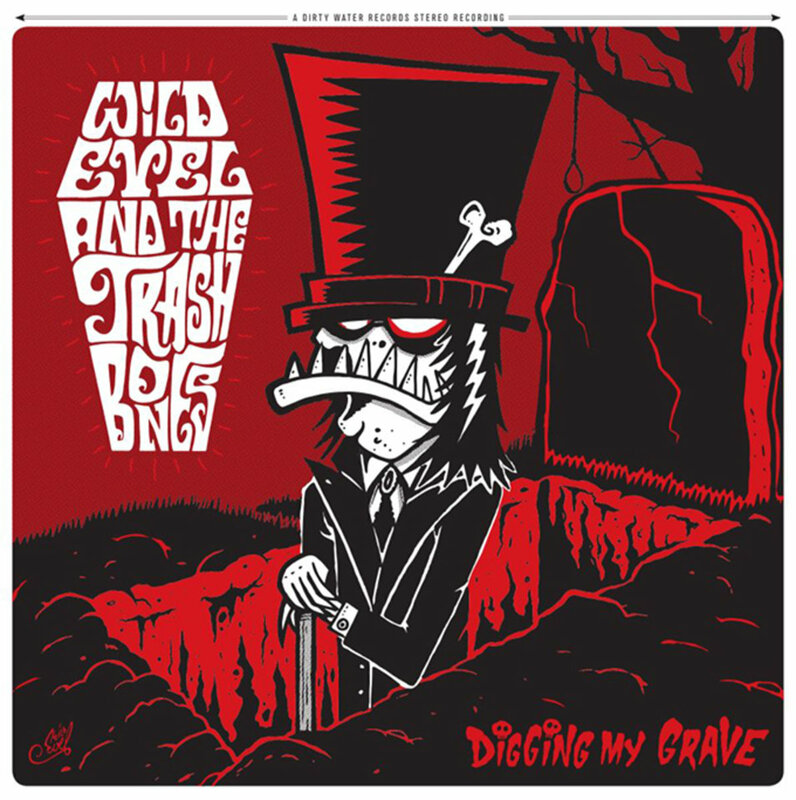 Digging My Grave is a brilliant album that compliments a long standing legacy of garage punk. For me, it captures the essential ingredients that combine the raw nature of garage rock with the defiant attitude of punk. Wild Evel and The Trashbones excel with a musical presence that vaunts the essential essence of adolescent angst, but with a sound arguably more refined. It’s style that is rooted in 1966, but celebrates a likeness to Screaming Lord Sutch, with the fury of The Cramps. As a whole Digging My Grave is comprised of solid bangers. 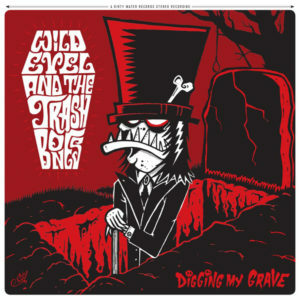 Each song shows off Wild Evel and The Trashbones exemplary talent to tug on all three chords of the garage punk heart-strings. However, the tracks “Digging My Grave,” “Why Can’t We Be” and “Gotta Leave Town” clearly stand above the rest. First off the title track “Digging My Grave” harkens on the demonic nature of Screaming Lord Sutch while borrowing the spooky theme from Larry and The Blue Notes “Night Of The Sadist.” It’s the kind of tune to grab your soul and twist you into a savage kind of possession. Perfect for blasting during the witching hour, play this one loud to the haunting benefit of those around. “Why Can’t We Be” is a humbling tune that pays homage to the all mighty Satelliters. Wild Evel and The Trashbones easily hold their own in comparison to their German cousins. However, as illustrated by this tune, credit is due to The Satelliters for fueling the garage rock torch throughout the European continent. “Gotta Leave Town” is among the best that Wild Evel and The Trashbones have to offer. This mooder borrows from a blues sensibility while firmly grasping the shy yet primitive nature of sounds emanating from the crypts of teenage-garage punk. While many modern garage rooted tracks place an emphasis on unrelenting passion or attitude, this track dares to be vulnerable with it’s theme of being overwhelmed and seeking to desperately skip town. For like-minded tracks check out check out the newly released Sites and Sounds “The Night Is So Dark” 7” released by Slovenly Records. This is an album that ought to be among any garage punkers record collection. If you lack excitement, then Wild Evel and the Trashbones are your kind of feral entertainment. Digging My Grave is filled with tunes to excite, make you moan and even inspire one to pull on their chelsea boots, and go out to cause some rebel-without–a–cause kind of hell. So, don’t be square and dip out on this record. For more on Wild Evel and The Trashbones check out their Facebook or Bandcamp. Born in 2017, The Blankz are a vibrant electrical current of pogo-inducing madness. Together, they are Tommy Blank (vox), Jaime Blank (guitar), Andy Blank (bass), Johnny Blank (drums) and Nikkie Blank (synthesizer), who also fronts The Darts. They are from Phoenix, Arizona, and like their state, they are hot but not bothered. 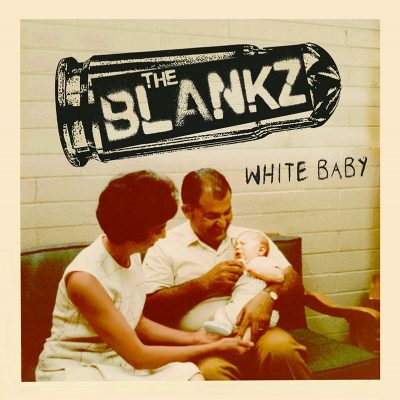 Their debut record, the White Baby/Sissy Glue record, is a lethal combination of orgasmic weirdo pop infused with the sensibilities of raucous punk rock. Check out the full album review published by @SLUG MAGAZINE!! The Speedways’ Just Another Regular Summer provides the new essential anthems for teenage inspired kicks and heartaches. 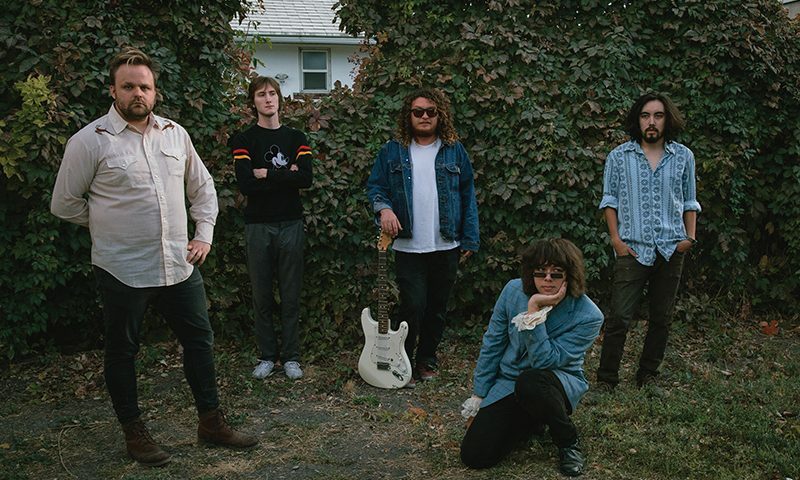 Easily taking nods from a nostalgic 77-ear of punky-power pop sound, The Speedways capture the styles that made The Boys or The Outcasts definitive. It’s a record that boasts dreamy power pop brilliance for the modern age. This is an album that professes sounds that are unique and excellent. To say anything less would be blasphemy. This is the perfect music to inspire feelings of being soaked in heartbreak, while forever being possessed by the powerful spell that first begged one to fall in love. Each track on this album is golden and there is no filler. 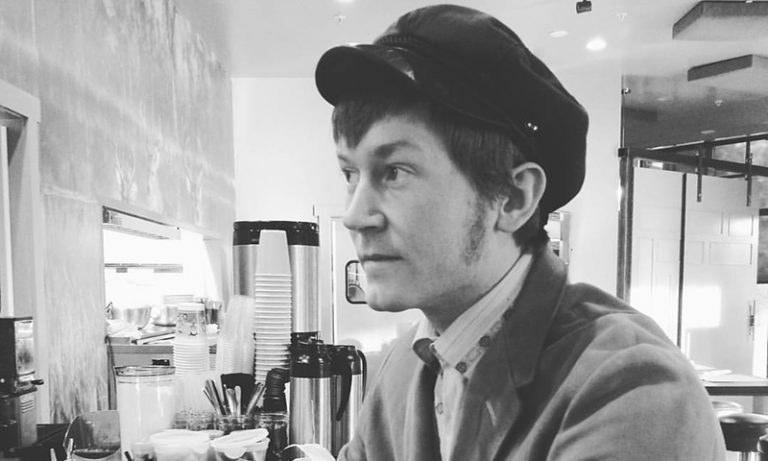 However, my favorite songs are “Seen Better Days” and “One Kiss Can Lead To Another.” “Seen Better Days” is a groovy jangly pop tune with an infectious chorus. “One Kiss Can Lead To Another” is the song for lovers and is sung from the perspective of one shyly longing for romance. If I had to nominate an album that was meant to be heard this summer, then it is most certainly Just Another Regular Summer. Through masterful lyricism and composition, Julian shows excellence in creating melodies that inspire the vivid imagery serenading the complexity of love that is lost. Rumor has it this is a one album wonder. If it is, lovers of power pop will be hard pressed to find tunes like these ever again. Don’t miss out on this gem and grab a copy of Just Another Regular Summer where ever it may be available. This is the diamond in the rough and it pleads to be heard. 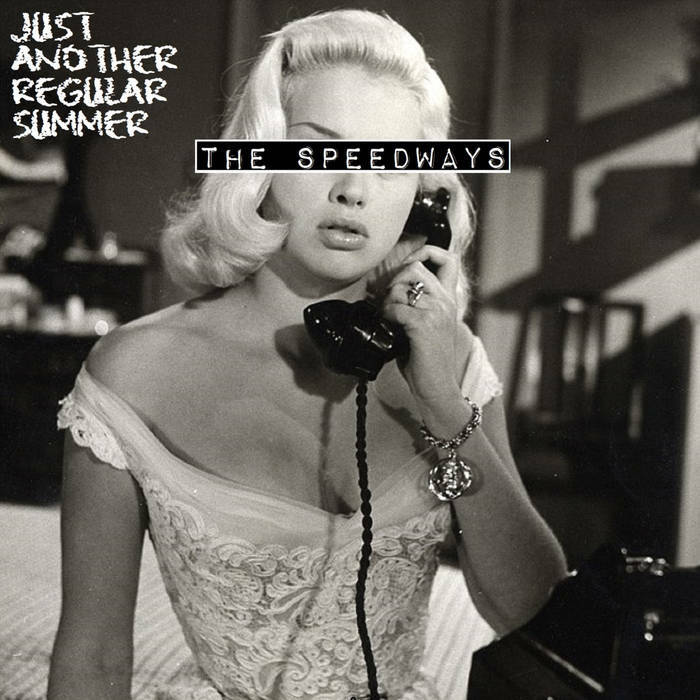 For more of The Speedways, visit their Bandcamp! However, with Double Decker, fans will be pleased to find an album filled with bangers, catchy anthems and ballads meant to invigorate the soul. Much like with their previous material this album captures the boot-stomping essence of Jook, with Slade meets a Revolver era Beatles-like rock n’ roll sound. 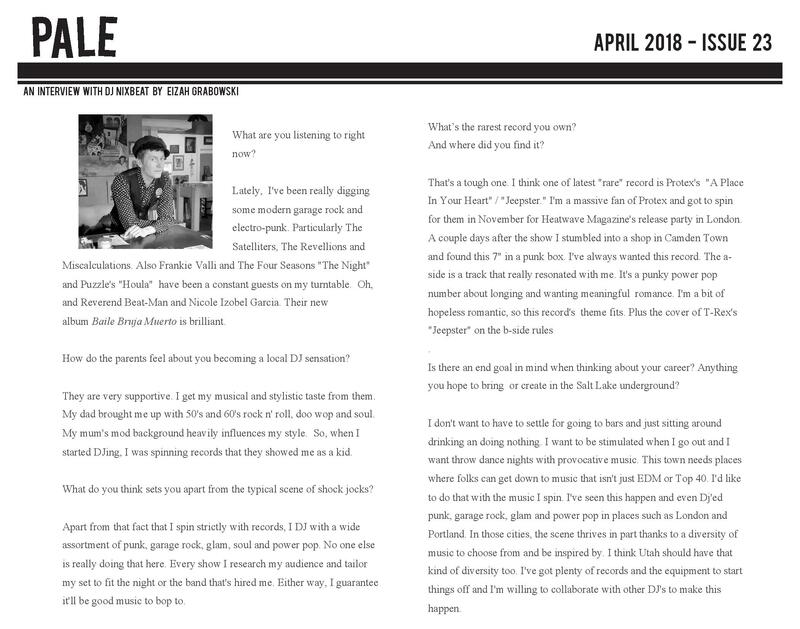 Dig the full review published at Heatwave Magazine!! 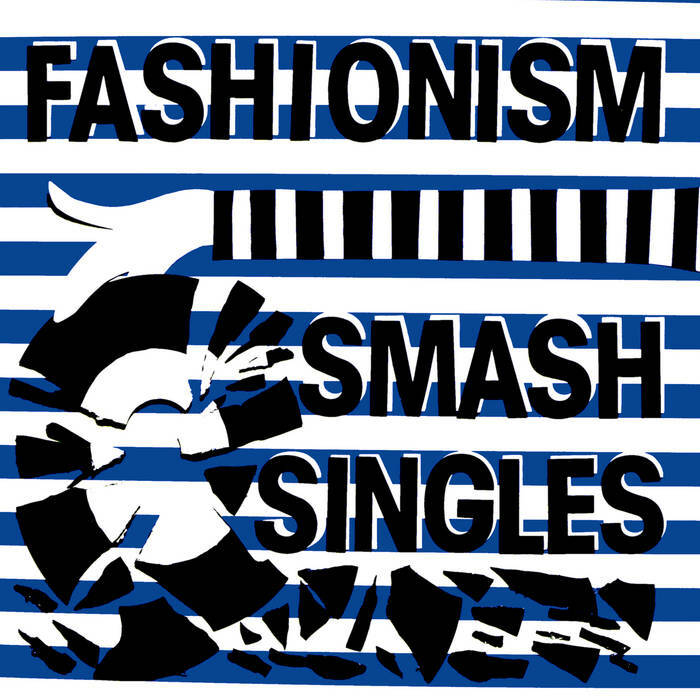 Fashionisms Smash Singles LP is an essential collection of recordings for the lovers of not only power pop, but also clever and intelligent lyricism. This record boasts material from the first four Fashionism singles, which are now hard to come by, with the addition of a couple previously unreleased tracks. Fans of Fashionism will find this record treads mostly familiar territory. For first timers, the Smash Singles LP is a good way to be introduced to one of the more interesting bands of the last decade. The songs found within the grooves of the Smash Singles LP celebrate the clever nature could have been heard by The Boys or even by the sharp wit of The Adverts. 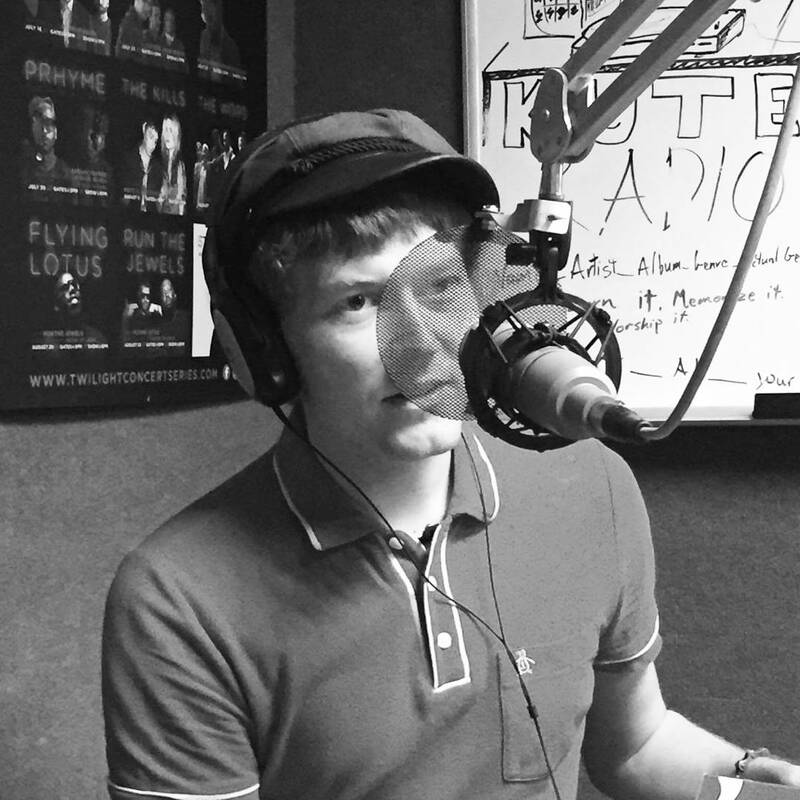 This is largely thanks to vocalist Jeffery McCloy masterful weaving of punchy lyrics that tell a story with a sound that combines the infectious nature of Bay City Rollers like glam rock meeting the sensibilities of The Purple Hearts. This hybrid style effortlessly combines the intense energy of punk with intelligent social criticism largely lost by the chorus of grunts and growls of the spikey studded cast. While their songs are very socially aware, Fashionism do not deliver their messages as a blow to the head. 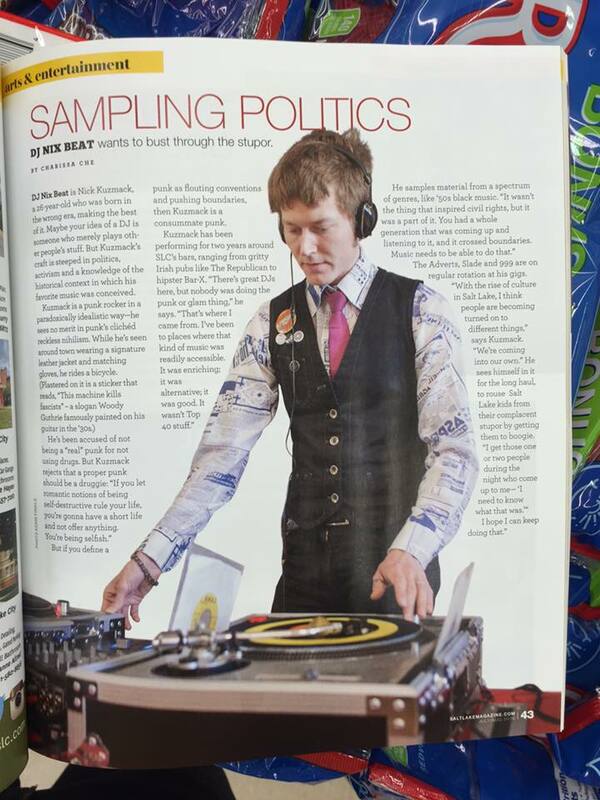 Rather, they do so via bubblegum styled tunes to bounce about with and be subtly influenced by. Many of Fashionism’s songs defiantly beg for the nostalgia of times long past. 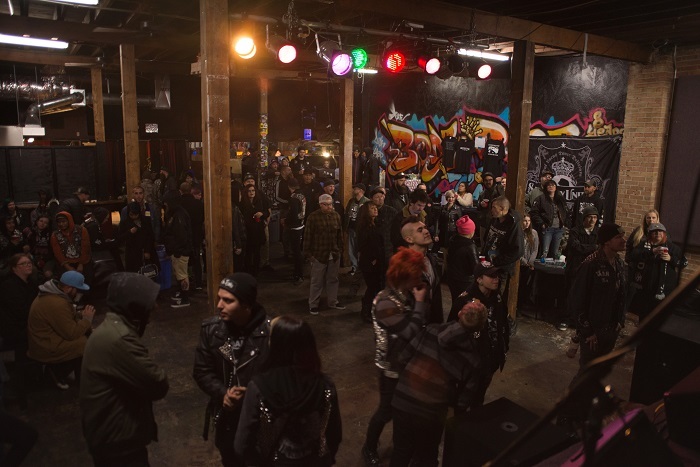 Songs like “Subculture Suicide” lament the painful and frustrating demise of traditional subcultural identity. While others like the new track “Weekend” remains steadfast in the Fashionism tradition of being unapologetically socially critical of shameless social media inspired vanity. Others hits on this record include my personal favorite “Where Have All The Rock n’ Roll Girls Gone.” This one pays homage to New Town Animals hit “Rock N Roll Scene.” Another is “Stop, Drop, Rock n’ Roll.” It’s a song that demands dance while McCoy rapidly name drops pop culture references from the McCoys “Hang on Sloopy” to ? and The Mysterians “96 Tears.” Fashionism also have a silly side with tracks like “One Shot.” It’s a song about being delightfully addicted to coffee. This one is fast and melodically furious– not to mention catchy as hell. 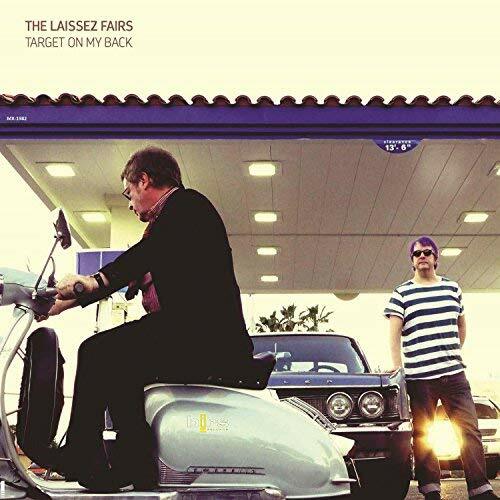 This record is well worth getting, particularly, if the Fashionism singles have eluded your capture. This super-group is made of members of The Tranzmitors, The Jolt, The Orange Kyte and New Town Animals. Their sound is deviously infectious and upbeat. 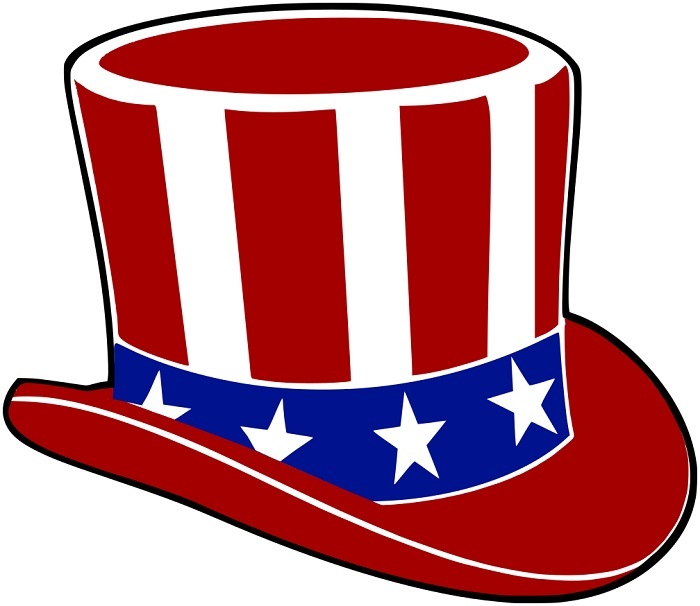 It’s good for those familiar and for newcomers alike. Above all, it’s a gem, so go get it. For More Fashionism, check out their Bandcamp! Los YaYaz Right to Left (Shane Kiel, Aaron Wilkison, Mariano Wilson and Micheal Flecha. 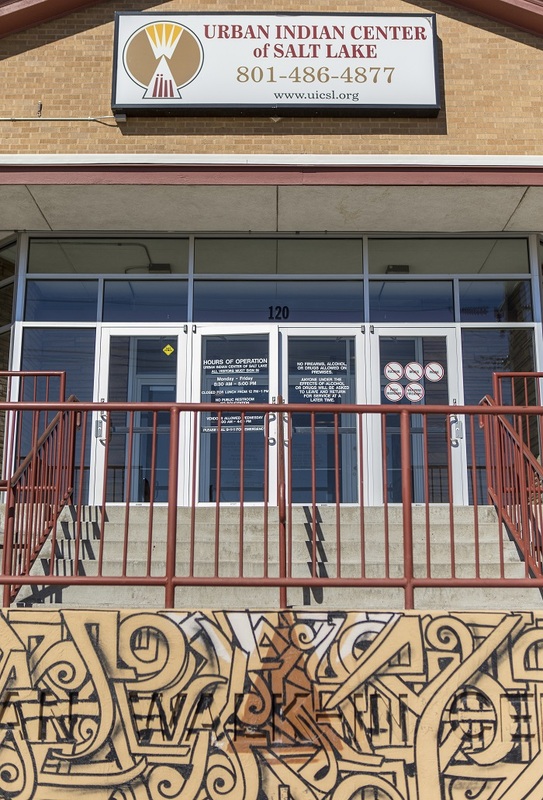 Los YaYaz have blazed through the Salt Lake City music scene by combining the wild and primitive style of Los Yetis and Los Saicos with the intensity of The Sonics. This new record maintains their iconic blended style with all the trappings of repressed teenage angst and longing desperation. Their delivery is raw and if I didn’t know better I would have sworn Born Dead was some long lost garage-punk- unknown. Historically, Los YaYaz perform both in English and Spanish. Born Dead, however, has all tracks recorded in English. This album was recorded live, and is only available on cassette or via their bandcamp. Born Dead contains covers of well-known tracks like The Sonics “The Hustler” and Bo Diddley’s “I’m a Man.” Listening to these covers it’s clear that the Los Yayaz have done their homework and almost own each song as their own. The the cover of The Bel-Aires “Ya Ha Be Be,” really shows of Los YaYaz their musical tightness. It comes across as a more comfortable tune to cover as it appears that they are having a blast recording this track. Out of all the covers on Born Dead, “All Black & Hairy” is easily my favorite. This track captures the haunting nature of Screaming Lord Sutch with the moody yet dirty nature of rock n’ roll found six feet deep. 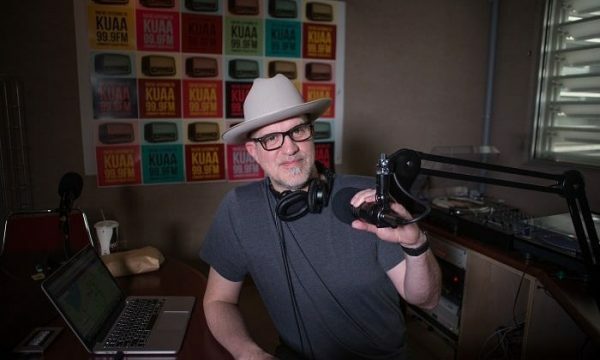 Joining Los YaYaz on the organ for “All Black & Hairy” is producer Dennis Fuller (also of The Boys Ranch). The real magic on Born Dead is the original Los YaYaz material. 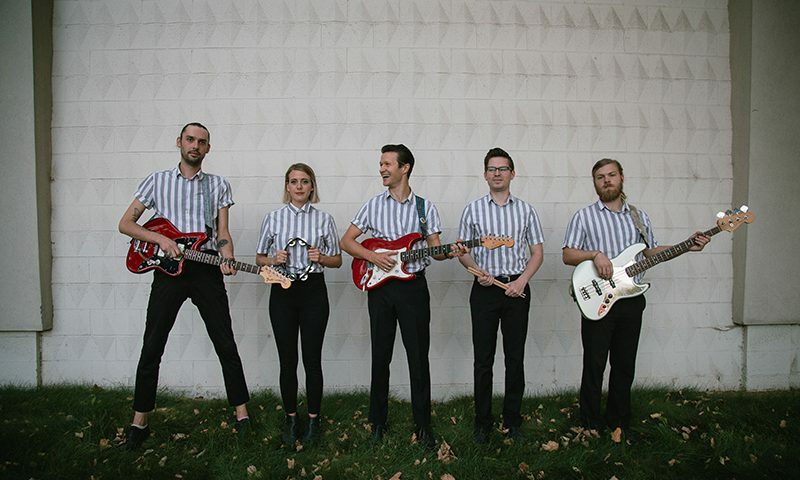 Largely written by vocalist Mariano Wilson,songs such as “Just a Little Bit” and “Sad and Blue” stay true to 1960’s garage rock form by betraying the familiar teenage garage punk themes of snotty adolescent defiance and love. With “Sad and Blue” the Los YaYaz boast a real moody groover. In a way it almost reminds me of the recently unearthed Sites N’ Sounds “The Night Is So Dark.” The difference between the two is a discernible roughness that will inspire listeners to sway and stomp their way to the grave. The only departure of from the garage rock sound is with Aaron’s Wilkinson’s’ “Nerd Basher.” While definitely influenced by a more aggressive late 1966 garage rock sound, this track falls more in line with the attitude of 1970’s punk with the jet-fuel aggression of The MC5. 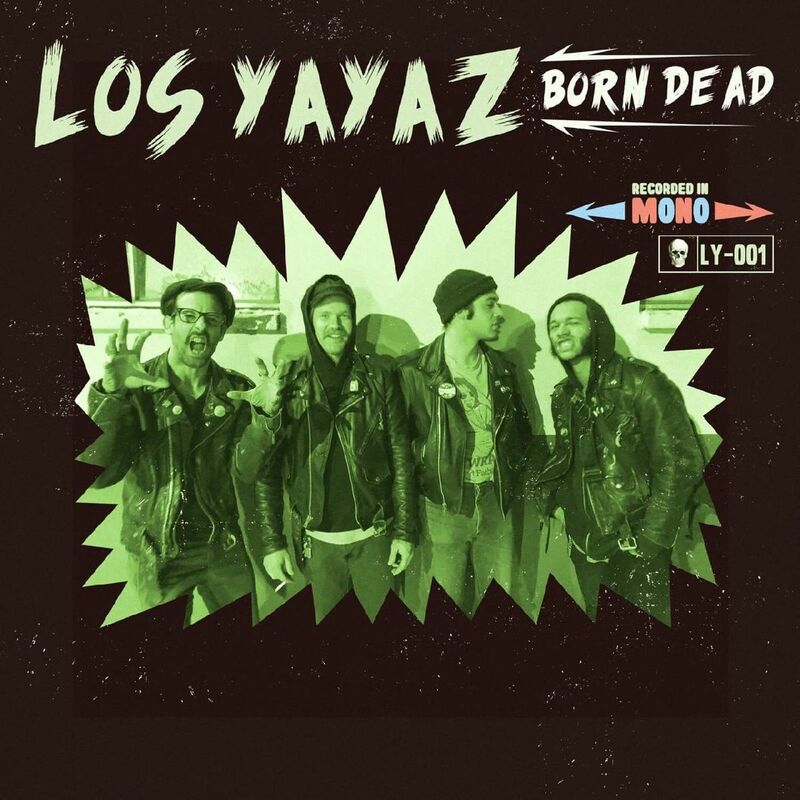 Overall, Los YaYaz bring a much needed revived sense of passion into garage rock. It’s clear that with Born Dead that they have refined their sound. Furthermore, these guys know their roots and have yet to cease bringing back a bordering untamed nature. Their use of covers are fine here and there, and they do them justice, but Los YaYaz demonstrates the knack for solid material with their own songs. Looking forward, I hope to hear more Los YaYaz originals—maybe even a return to some Spanish sung tunes. It would be a tragedy if Born Dead is lost to unknown pages of history, so do yourself a favor and pick up their tape. 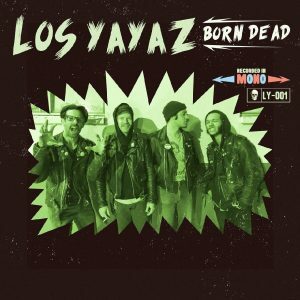 Los YaYaz’s Born Dead demonstrates that rock n’ roll is here to stay and it’ll never die. 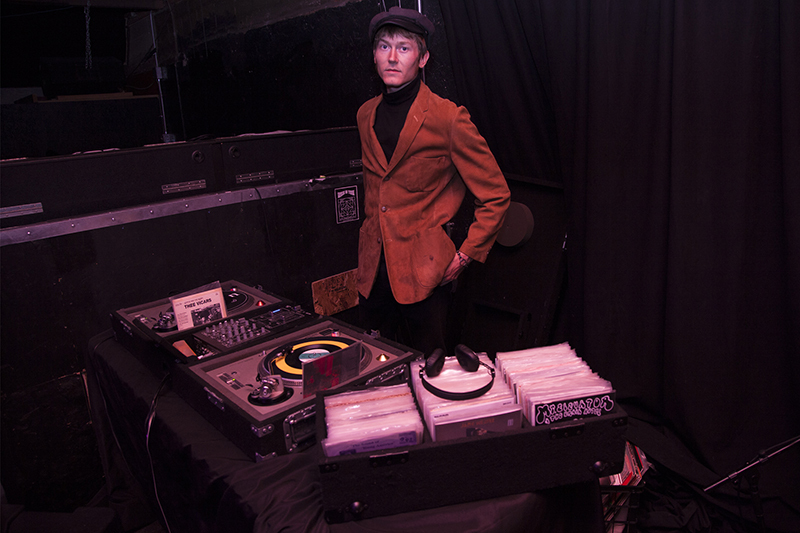 Born Dead is a must own for anyone who boasts a love for garage rock. Pick it up. For more from Los Yayaz check out their Bandcamp and Facebook.